How do you describe a true wedding photographer? Storytelling isn't scripted, but it should be defined. The gathering is inherently romantic and celebratory. It is the art of capturing real genuine moments in time. A wedding photographer does more than simple, standard documentation of the day. When looking at an image what does is portray, is it descriptive, does it grab your attention, what are your facial expression when you see this image, does your heart beat faster with love for how it means so much to you and how this image will always do that. What makes this image a compelling wedding image? Is it the use of great cameras and great lenses, or the way that storyteller uses natural and artificial light, the composition, the elements, the framing to create that mood...All of this in the description above in the first paragraph are factors I use for every wedding image I capture. Has in this wedding image that I photographed at The Westin Hilton Head Island Resort & Spa, in the bridal suite of the bride getting ready with her bridesmaids. You see for me keeping in mind that a moment like this only happens once. 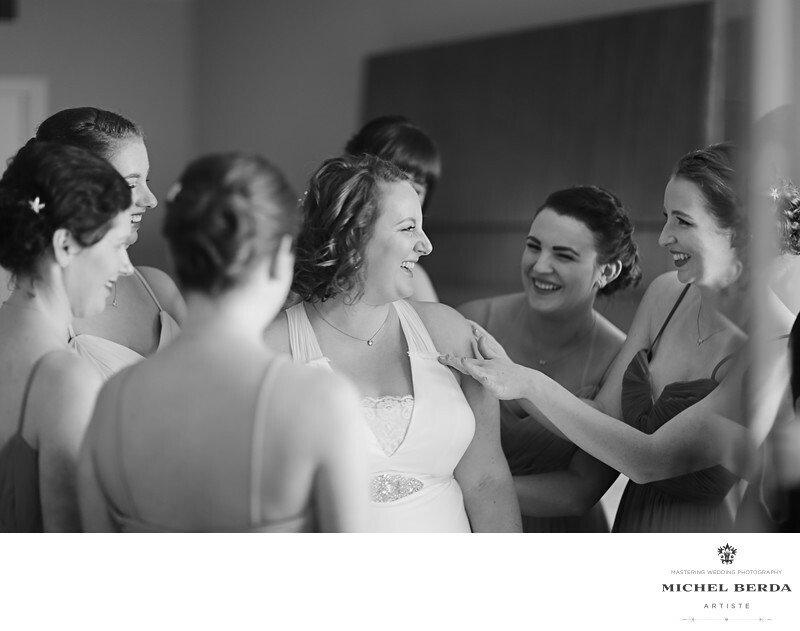 I wanted a wedding image that would be very meaningful, where there was a great connection with the bride and her bridesmaids but more importantly, it was her sister, her maid of honor that made this image connect, the smiles the reaction, that told this wedding day story much, much more special. Keywords: HILTON HEAD ISLAND WEDDING PHOTOGRAPHER (18), Michel Berda (1140), The Westin Hilton Head Island Resort & Spa (9), The Westin Hilton Head Island Resort & Spa Weddings (3), Wedding Photographer (1254).